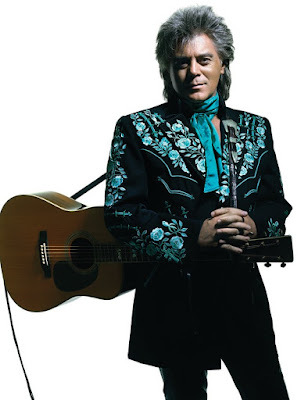 As one of country music’s most venerable artists and ambassadors, Marty Stuart wasn’t about to stand idly by while witnessing what he saw as the integrity of its heritage being compromised. “The roots of country music were being ignored and disregarded,” says Stuart, a native of Philadelphia, Mississippi, “and it was slipping away. 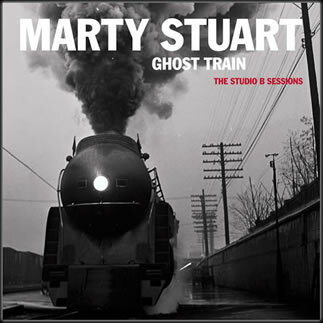 It seemed to me that the right thing to do was to play it.” That steadfast determination underscores his current album, Ghost Train: The Studio B Sessions, its title not only referring to the hallowed Nashville room in which it was made but also to the history it holds. “So much of country music’s legacy has been forged there," he says of Studio B, where such classics as Dolly Parton's "Coat of Many Colors,” Hank Locklin’s “Please Help Me, I’m Falling,” and Waylon Jennings’ “Only Daddy That’ll Walk the Line,” among hundreds upon hundreds of others, were recorded. “And it was the first place I ever recorded as a kid with Lester Flatt,” Stuart adds, recalling when while barely a teenager in 1972 he landed his first job in music, playing mandolin in the bluegrass legend’s band. His tenure lasted until shortly before Flatt's death in 1979, after which he joined Johnny Cash’s band before ultimately setting out in the mid '80s to pursue a solo career. Scoring hits like "Hillbilly Rock," "Burn Me Down," and "The Whiskey Ain't Working Anymore," the latter a duet with fellow maverick Travis Tritt, Stuart earned both commercial success and critical acclaim, including four GRAMMY Awards. Over time, however, his creative goals conflicted with those of an ever-changing country-music industry, forcing him to assess his purpose and relevance as an artist. Where did you get the whole idea for Ghost Train, to stand your ground and say, “This is where I am now?" In reality for me it started about ten years ago with a record I did called The Pilgrim, and I was kind of penalized for playing country music. I had one recording left on my contract with MCA Records at the time. I felt like The Pilgrim was probably going to do me in commercially for a moment, but I knew I had to take that walk because I had no choice in the matter in order to live with myself. So I made that record and it brought the curtain down on a decade-and-a-half commercial run, but it was time to do something different. You can only have so many radio songs. You can only have so many of the trinkets of hillbilly stardom. Then all of a sudden it becomes a hollow victory. That’s what it did for me. I wanted a deeper, more meaningful career for the back half of my life. So I started over. I’ve finally found my mark inside of this decade that I’ve been drifting through the woods looking for. It really is the deepest place in my heart, traditional country music. And country music needs traditional country music, in my opinion, now as much as ever before. It gives a sense of balance. Is it disheartening that what is considered mainstream country today is essentially a tangent of country music? Well, I think it’s in the ear of the beholder. A lot of listeners probably couldn’t put up with listening to the records I listen to, that I consider country music. Also, there are a couple kinds of country music that have come back up. I think that most everybody around this town thought the kind of music that Ghost Train represents was dead and gone except for some pioneer acts at the Opry. 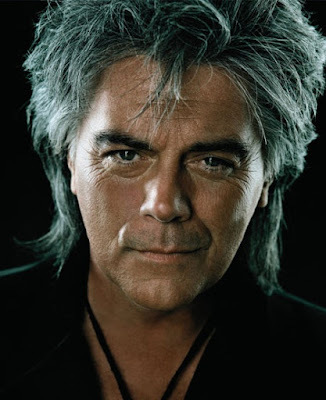 So I stood up and said, “I beg to differ!” I helped create the way country music sounds on the radio these days and I’m also encouraged to go back and help create it another way now. It seems that commercial radio and other outlets where most people get their music from pander to what’s popular rather than to what’s genuine and, for lack of a better term, good. Absolutely. It’s the homogenization of America, which is a bigger subject. Then again, we can’t overlook the fact that a lot of those face-value-of-the-chart, in-the-moment country artists, they’re entertaining a lot of people out there. There’s a lot to be said for that. They’re taking care of that end of the business. How has your approach to songwriting changed in recent years? I think as life goes on the songs get more honest. That’s the thing I love about Ghost Train. Those songs feel to me like they’ve really been lived through, and they were. They were. Going back to when you left Johnny Cash’s band to start your solo career, was it difficult to find a creative voice that was yours and not just a mirror of your influences? Oh, without question. Looking back on some of that early work, I can see the glimmer of where it was headed, but there were two bands I was having to play myself out of the shadow of... The bottom line is the song. You’ve got to have the right song. You can be the coolest guy in town—have the best bus, the best band, the best everything—but until that song comes along that gives you a job with the masses, you’re stuck just being the coolest guy in town. “Hillbilly Rock” was the song that opened the door and gave me a reason to get a bus and a band and cowboy clothes to go out there and figure it out in front of everybody. And the hits started coming. We stumbled into a sound and we had a good run with it, but every time I had commercial success I tried to use it wisely to balance out a credible career along with a commercial career. I did not want to wind up being 50 years old, stuck on stage being a parody of myself just hoping everybody remembered my hits from any particular decade. That was not what I had in mind. Going back even further, when you were starting out as a teenager—which is a rebellious age to begin with and the ‘70s were a licentious time—what drew you to country music as opposed to, say, Led Zeppelin? What made country the music that moved you most? The Beatles were exploding even further back in the early ‘60s when my light kind of came on musically, but the first two records I ever owned were Lester Flatt and Johnny Cash. Then there was The Porter Wagoner Show that I watched on Saturdays. Rock ‘n’ roll entertained my head but there was something about country music that touched my heart. When I was 12 years old I discovered Bill Monroe and my dad got me a mandolin. There wasn’t really a lot of difference from a Mississippi perspective between what Elvis did on “Mystery Train” or “Milkcow Blues” or what Bill Monroe was playing or what Flatt and Scruggs was playing; it was rock ‘n’ roll to me. Bluegrass had a lot of fire about it. So I unplugged my electric guitar, put it under the bed and began playing the mandolin. And getting offered a job with Lester, I mean it was beyond belief. It went from cutting yards one day and going to school and the next thing I knew I was on stage at the Grand Ole Opry playing with a cool band. Even at that young age, did you appreciate who you were playing with? Absolutely, because I loved those guys. That’s all I wanted to do from the time I was nine years old and had my first band. I wanted to go to Nashville and play country music.